Vladimir Putin has accused Paris of knowingly luring Moscow into vetoing a UN Security Council resolution drafted by France. It called for an end to air strikes over Aleppo. Russia has refuted claims it has deliberately targeted civilians in the city. A storm in a teacup full of muddy London water. 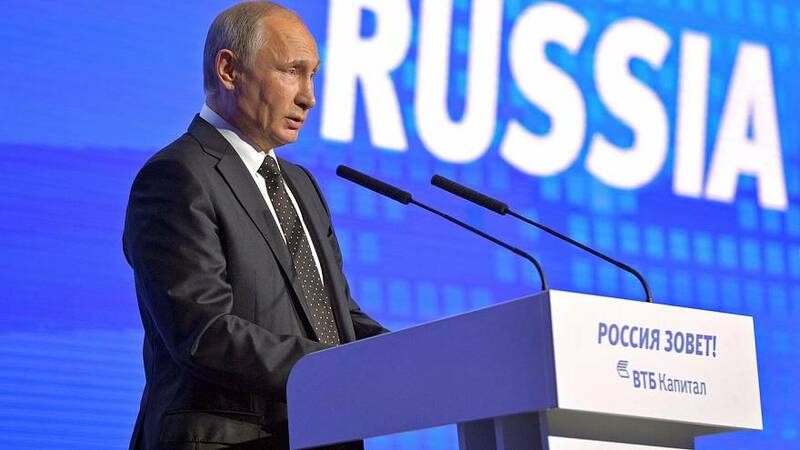 Putin’s accusation comes a day after he indefinitely postponed a trip to Paris amid mounting tensions between the two nations. “Russia has been blamed for all deadly sins. No one talked to us, no one discussed anything with us and just threw that resolution into the UN Security Council obviously expecting our veto. Why was that? To worsen the situation and blow up the anti-Russian hysteria in the controlled media,” the president said. He didn’t stop there. On Wednesday (October 12), Putin launched a very similar tirade against British Foreign Minister Boris Johnson’s call for a protest outside the Russian embassy in London, to condemn the bombings over Aleppo. He also accused the US presidential candidates of using Russia for political point-scoring and rejected allegations Moscow was involved in the alleged hacking of Democratic Party emails. “Some hackers shed light on inappropriate behaviour by Hillary Clinton’s staff during the campaign. Then this hysteria started, claiming that it’s in Russia’s interests. There is nothing in Russia’s interests there! But the hysteria has been started just to distract the attention of the American people from the very sense of what’s been revealed by the hackers,” he said.